I collected several live specimens of nymphs and reared them to the imago (Imago: The sexually mature adult stage of the mayfly is called the imago by scientists and the spinner by anglers.) stage. They were C. reticulata. The interesting thing is they were collected in May and were emerging along with Rhithrogena (March Brown). This seems to be an overlooked hatch since in some rivers it emerges very early, before runoff. 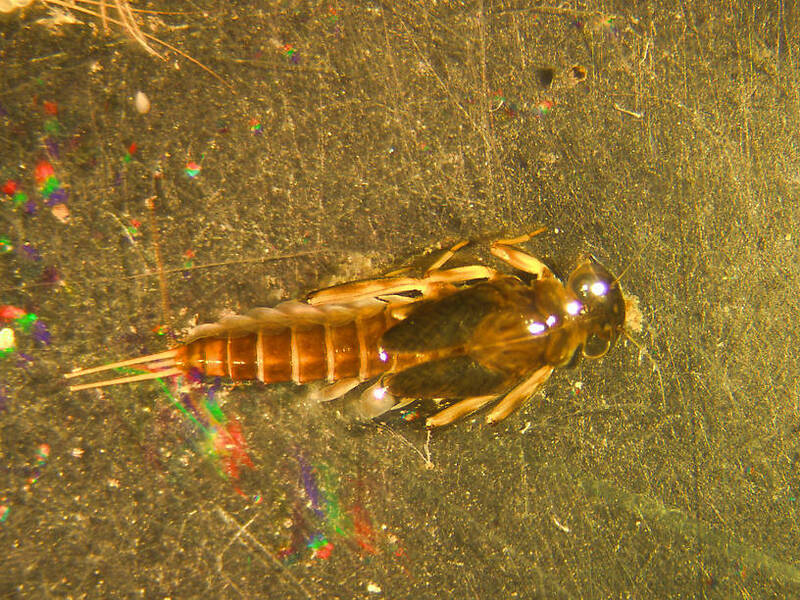 This mayfly was collected from the Big Thompson River on May 10th, 2009 and added to Troutnut.com on June 26th, 2011.